Perfect Fit For The All Latest Macbook 12”A1534 And Macbook 13” Without Touch Bar A1708 Only. Ultra-Thin Clear Tpu Skin, Made It Easier For Typing. With Only 0.15Mm Thickness (One-Fifth The Thickness Of Silicone Skins). Great Fit For The All The Macbook 12”A1534 And Macbook 13” Without Touch Bar A1708. Every Key Is Individually Molded To Fit Your Macbook Keyboard. 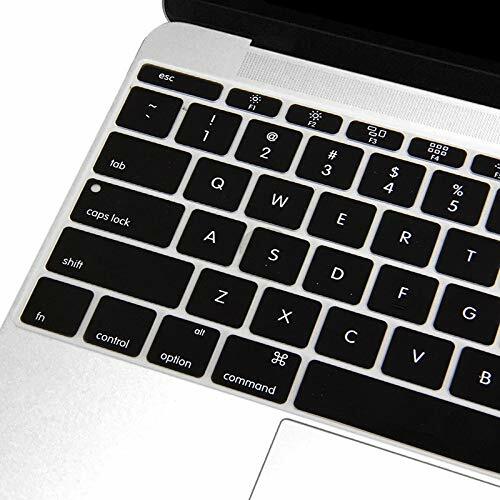 Allows Macbook Backlight Keyboard To Shine Thru Cover. Flexible And Washable. 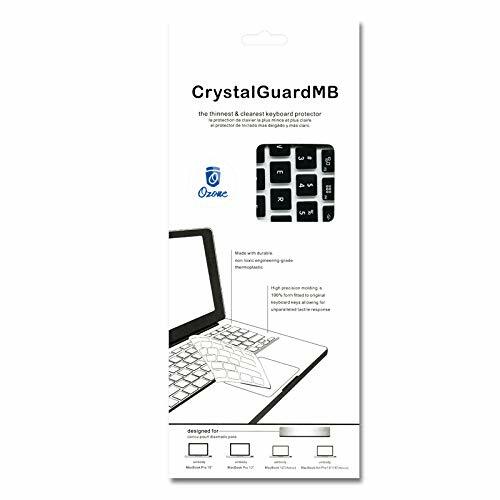 Design To Provide The Full Protection For Your Macbook Keyboard Against Dust Spills, Key Wear And More. Protects Against Key Wear, Food And Drink Spills, Dust And Hair Clogging. Easy To Clean Too, Just Peel Up From The Keyboard, Rinse Under Water, And Dry. Easy To Install. Flexible And Washable And Durable. Scratch Resistant And Water Resistant. Please Note That Only English Text Available On This Keyboard Skin. Keyboard Lay: Uk/Eu Layout. Compatible W: Macbook 12”A1534 And Macbook 13” Without Touch Bar A1708. Model Identif: Macbook9,1; Macbook8,1; Macbookpro13,2; Macbookpro13,1. N: Please Check For The Model Number Behind The Macbook Before Placing The Order. The Model Number Can Be Found On The Bottom Of Your Macbook In Between The Two Hinges In The Format Axxxx. Please Check The Image To Find The Difference Between Us And Uk Keyboard. Please Note That This Keyboard Skin Will Not Be Compatible With Macbook 11”, 15”,13” Retina, 13” Pro. 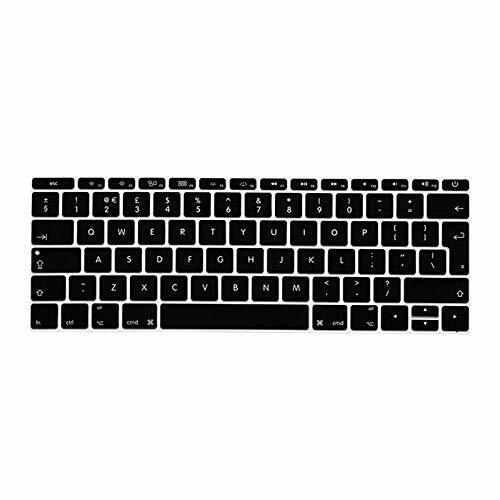 Package Inclu: 1X Arabic English Keyboard Cover Uk Layout. Macbook 12”A1534/Macbook 13” Without Touch Bar A1708. Imported From Dubai.